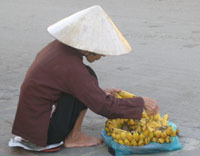 Traveling through Vietnam in 2009 as a culinary tour leader was an interesting and heartwarming experience. The local people are so eager to share their country’s wonderful cuisine and culture and spend time with you. You’re treated more like a welcome guest than a tourist. Back home in Phuket with my traveling companion, we rested and strolled on the beach and enjoyed the best food in Phuket: local seafood. We were lucky to become friends with Chef Tony of the popular Rockfish Restaurant after savoring our first plate of his Thai crab salad. He generously agreed to share his recipe and do a cooking video for my newsletter to welcome our mango season here in America. Chef Tony Wringley has been working at Rockfish Restaurant as executive chef for the past 6 months. His recipe was inspired by local and seasonal ingredients from Phuket Island such as local crab, fresh mango and coconut. Chef Tony has captured the flavors of the tropical island of Phuket with this Thai crab salad. 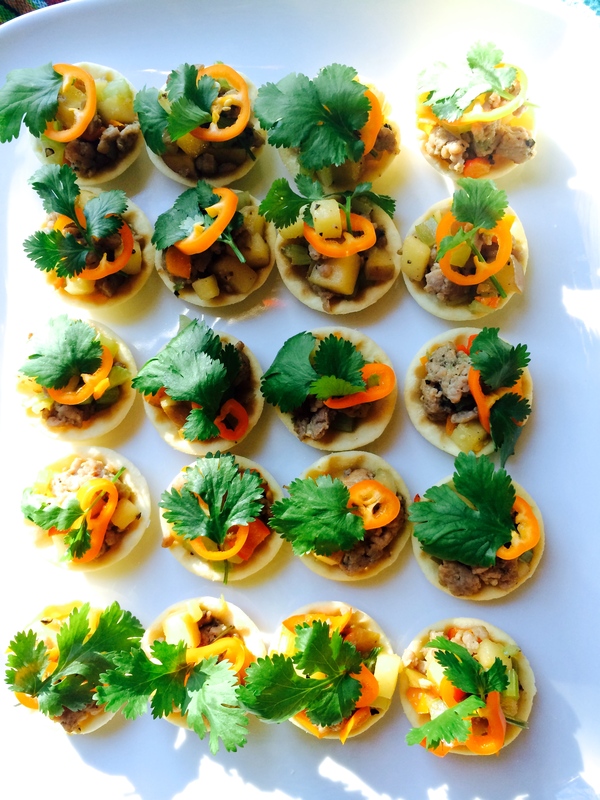 Gently combine crab, mango, red spur chili, green onions, cilantro, Thai basil and chili peanuts. Add fish sauce, sugar, olive oil and lime juice, and fold just to mix. Place crab salad on the plate, garnish with shaved fresh coconut on top and decorate the plate with chili oil. Makes one serving. I Love Thai cooking Pranee teaches Thai Cooking classes in the Seattle area. Her website is: I Love Thai cooking.com . Thank you for your comment. I love culinary travel very much. I am leaving again to do the same trip in February next year. Same itinerary but will be totally difference experience to share on my blog. PS I will also visit fresh market in Kamala Village also, the best market for fresh Thai curry pastes.